Almost 60% of people in the US believe that they believe in psychic phenomena or have experienced something otherworldly they can’t explain. You’re probably one of them. Perhaps you’ve tried to explore this intuitive side of spirituality. You might have looked into psychics, crystals, or learned more about being Wiccan. No doubt you’ve seen one of the most popular methods of divination out there – tarot cards. Interest in the tarot deck is growing in popularity – sales of these fascinating cards are up 30%. It doesn’t take a psychic to know that many people have one question on their minds when it comes to cards: how accurate are tarot card readings? Let’s learn more about this fascinating tool and everything that goes into getting the most out of your reading. Tarot cards have a long and interesting history. Their basic concept has been around for centuries, which is evident in their design. Many tarot historians agree that the cards’ story begins in the 1400s. Wealthy Italian families used them to play games and tell stories. Many of these early cards were hand-painted. As you can imagine, they were quite expensive and could only be afforded by the richest families. The tarot card remained just a game for centuries. It wasn’t until the 1700s that meanings were ascribed to the designs. The cards traveled from Italy to France and England. Once there, occultists discovered them and started to discover meanings within the cards. These meanings contribute to tarot card readings accuracy. Victorians were responsible for the cards coming to popularity. They also helped nail down the most popular look – the Rider-Waite deck. With illustrations by Pamela Coleman Smith and a book that helped explain accurate tarot readings, this version shot up in popularity. You’ve probably seen this version in your search for a great deck. If you’ve never had a reading before, you might not know what to expect. Maybe you think it’s like a magician holding up a deck and asking you to pick a card. First off, you want to find an experienced tarot reader. They will usually have a deck that they feel comfortable working with and that has good energy in it. Next, they’ll ask you if you have a question you want answered. Sometimes, you don’t have one and will just want a general reading. Focusing on a question sometimes helps tarot card reading accuracy. One of the most popular layouts is the three card spread. It could stand for past, present, future or situation, action, outcome. Now that we know about where tarot cards came from and what a reading is like, let’s answer the real question. How accurate are tarot card readings? A simple “yes” or “no” doesn’t go far enough. Let’s explore all of the answers. Your attitude going into the experience and during it can influence how accurate tarot card readings are. This can be both a conscious and spiritual negative influence. If you go into a reading with a closed mind, you’re obviously going to influence how the reading goes. Relax, try to be open – even if you’re a little skeptical. 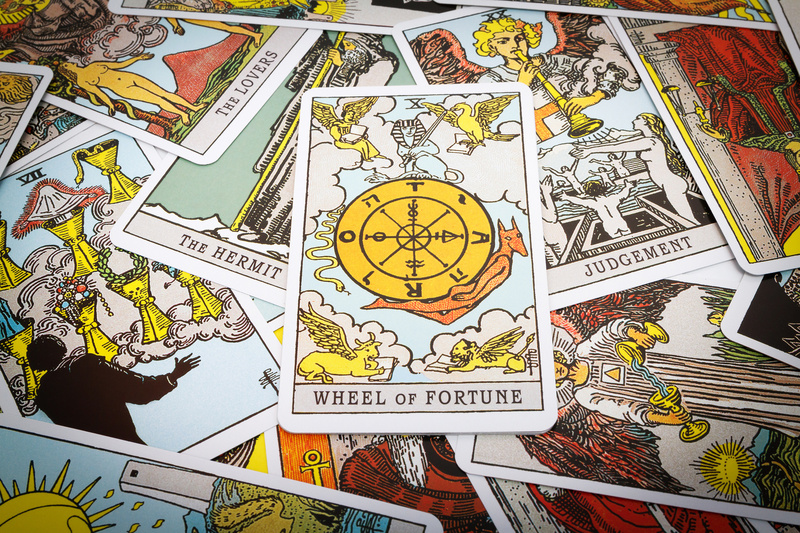 You might be surprised by how accurate tarot card readings can be. Bringing bad vibes or a tangled emotional state can influence your reading as well. Even if the question you want to ask the deck is very serious, try to take a moment, breathe, and relax. If you’re interested in tarot cards, it’s probably a safe bet that you’ve flirted with the idea that you’ve wondered about psychic abilities. Whether they’re your own or others, sometimes we have experiences or feelings that we can’t explain. There are strange phenomena that we or our loved ones have had that aren’t always cut and dry. There have been scientific studies done on psychic phenomena but feelings, faith, and intuition aren’t always measurable. Are tarot cards accurate? Sometimes that’s up to your own inner intuition. Try to stay open to what the cards have to say. Let’s say you’ve had a reading and it seems to be all over the place. The cards aren’t coming up right. The reading seems to have nothing to do with you. You might not jive well with your reader. That’s OK; not every tarot card reader and guest is a great fit. The cards might have been misinterpreted. Card meanings are varied and their meanings aren’t always black or white. Lastly, the cards might be telling you something you might not be ready to hear. Maybe you ask a question about your career but get answers about love. That’s why it’s important to be open-minded. When wondering how accurate are tarot card readings, the idea of understanding the future comes to mind. Here’s the thing: even if the cards tell you what’s going to happen, the future isn’t set in stone. The cards can tell you something will happen but then things change. The actions you take in the future can change things and essentially change the accuracy of your reading. Try to keep your idea of what the cards are saying grounded in the present. 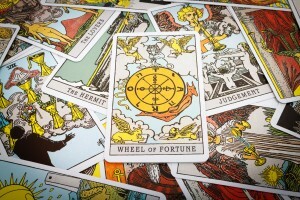 How Accurate Are Tarot Card Readings? Find Out For Yourself! Tarot cards have a fascinating history and an equally interesting present. What the future holds, perhaps only the cards can say. Now that you know a little about their past and how a reading works, you’re probably excited to know more. Remember – find a reader who’s a great match. Go into it with an open mind. Think about the meaning that the cards might be revealing to you. Contact us and we can help set you up with a tarot card reader, 24/7!